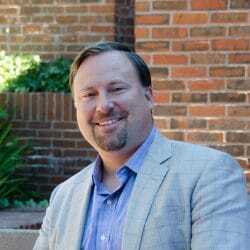 Dr. Stephen J. Haggarty is an Associate Professor of Neurology at Harvard Medical School, an Associate Neuroscientist at Massachusetts General Hospital, and Director of the MGH Chemical Neurobiology Laboratory. Dr. Haggarty is also a Senior Associate Member of the Broad Institute of Harvard & MIT and Affiliate Faculty Member of the Harvard Stem Cell Institute. Dr. Haggarty serves as faculty member for the Harvard Chemical Biology PhD Program, HMS Leder Human Biology & Translational Medicine PhD Program, and the Harvard Program in Therapeutic Science. Can targeting neuroepigenetic mechanisms provide next-generation pharmacological treatments for CNS disorders? How can patient-specific stem cell models be used most productively and innovatively to guide genomics-based drug discovery and precision medicine? Can targets regulating mechanisms of neuroplasticity provide new treatments for neuropsychiatric and neurodegenerative disorders? 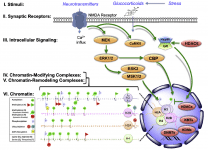 Role of Neuroepigenetic Mechanisms in Cognitive & Mood Disorders. A major focus of the Haggarty Laboratory has been to advance understanding of the critical function of epigenetic mechanisms in the regulation of neuroplasticity and neurocircuits involved in memory and mood regulation. Using a combination of chemical genomics, biochemistry, functional genomics, and in vivo mouse models we helped elucidated a key role for Class I histone deacetylases (HDACs), in particular HDAC2 complexes, in the regulation of learning and memory and the dysregulation of these epigenetic mechanisms in the context of Alzheimer’s disease (Kilgore et al. Neuropsychopharmacology 2009; Guan et al. Nature, 2009; Fass et al. ACS Medicinal Chemistry Letters, 2012; Fass et al. 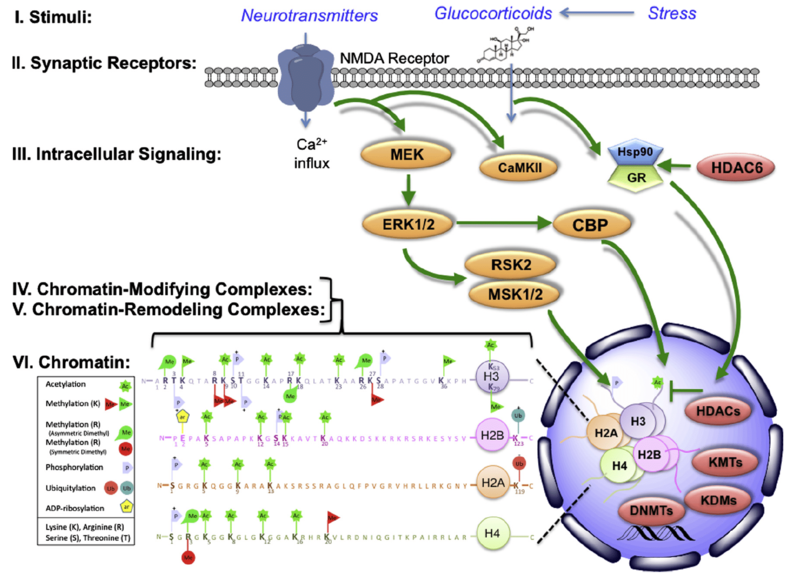 Neuropharmacology, 2013; Graff et al. Nature, 2014; Wagner et al. Chemical Science, 2015; Gosh et al. Bioorganic & Medicinal Chemistry Letters, 2016). We also demonstrated, for the first time, that selective pharmacological inhibition of Class I HDAC1/2 complexes is sufficient to have anti-manic-like and anti-depressant-like activities in pre-clinical rodent models of depression and bipolar disorder (Covington et al. Journal of Neuroscience, 2009; Schroeder et al. PloS ONE, 2013). Most recently, with our colleague Dr. Ralph Mazitschek at MGH we co-developed an innovative technology of “optoepigenetic” probes that allow the precise spatial and temporal control of the epigenome and transcription with light (Reis et al. Nature Chemical Biology, 2016). We are applying these and the other neuroepigenetic probes we have developed to target rare neurogenetic disorders with cognitive deficits and dysregulated neuroplasticity. 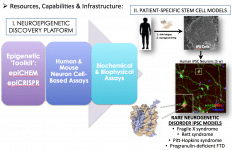 Modeling Pathogenesis & Treatment of Neuropsychiatric & Neurodegenerative Disorders Using Patient-Specific Stem Cells. 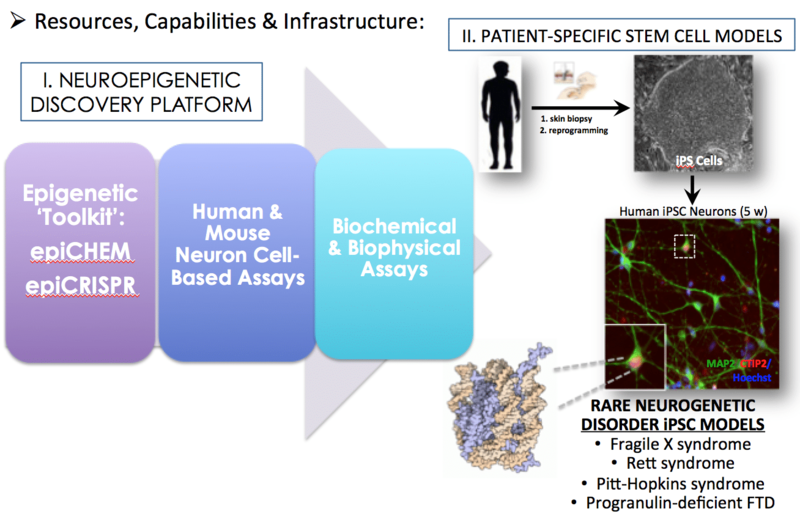 To advance our understanding of human disease biology and a platform for discovery of novel therapeutic targets, the Haggarty Laboratory has been a pioneer in the application of reprogramming technology to the generation and characterization of patient-specific iPSCs models from individuals with a range of single gene, Mendelian neuropsychiatric disorders, including Fragile X syndrome due to FMR1 mutations (Sheridan et al. PloS One, 2011), Rett syndrome due to MECP2 mutations (manuscript under review), Pitt-Hopkins syndrome (manuscript under review), Frontotemporal dementia (FTD) due to MAPT/tau mutations (Silva et al. Stem Cell Reports, 2016) and GRN/progranulin mutations (manuscript under review), as well as complex, polygenic disorders, including bipolar disorder and schizophrenia (Rueckert et al. Molecular Psychiatry, 2013; Madison et al. 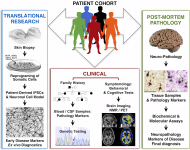 Molecular Psychiatry, 2015; Bavamian et al. Molecular Psychiatry, 2015). 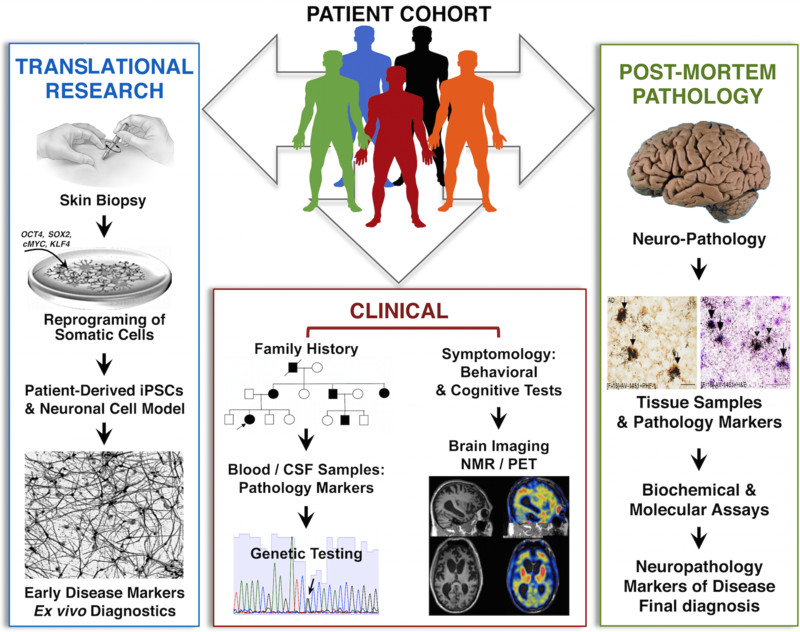 As part of these efforts, we generated the first ever iPSC models of MGH patients within both the Departments of Psychiatry (bipolar disorder subjects) and Neurology (FTD subjects). Collectively, these studies have begun to reveal fundamental insight into the underlying mechanisms of human disease neurobiology. 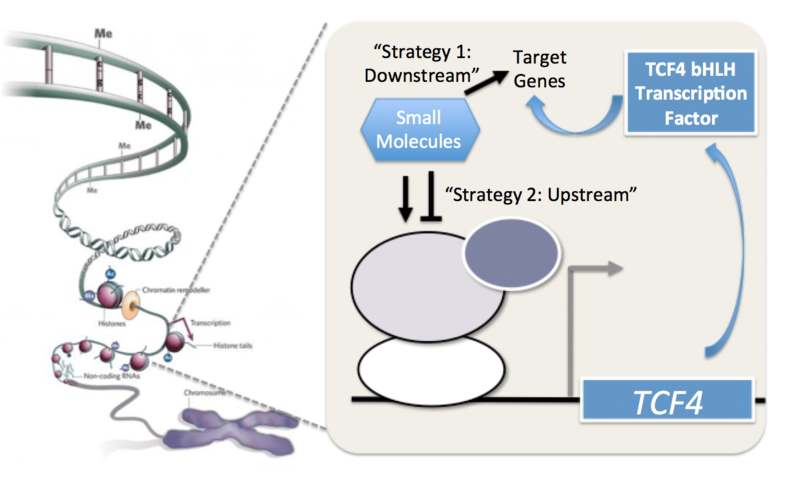 Furthermore, through our advancement of robust strategies for large-scale generation of highly expandable neural progenitors cells (NPCs) with the ability for rapid directed neural differentiation to disease relevant subtypes these studies have created new avenues for the discovery of novel targets and lead compounds using high-throughput drug screening, functional genomics (shRNA/CRISPR-Cas9), and quantitative proteomics (Zhao et al. Journal of Biomolecular Screening, 2012; Silva et al. Stem Cell Reports, 2016; Cheng et al. Current Protocols, 2016; Silva et al. Current Medicinal Chemistry, 2016), which we are applying to systematically discover next-generation neurotherapeutics. Advancing experimental therapeutic trials with repurposed drugs. Given the time frame, cost, and failure rate of traditional drug development efforts with new chemical entities, one expedient path toward therapeutics for neuropsychiatric disorders may be to repurpose an already existing approved drug. To this end, through our chemical genomic screening platform in conjunction with our patient-specific stem cell models, rodent neuron, and biochemical studies, we have identified multiple F.D.A.-approved drugs and compounds currently under clinical investigation that are candidates for repurposing studies. For example, for bipolar disorder, based upon our studies on the regulation of WNT signaling by the mood stabilizer lithium (Pan et al., Neuropsychopharmacology, 2011) and our high-throughput screens for lithium ‘enhancers and mimetics’ (James et al. Science Signaling 2009; Biechele et al. Chemistry & Biology, 2010; Zhao et al. Journal of Biomolecular Screening, 2012), we have discovered that HMG-Co-A reductase inhibitors (e.g. simvastatin (Zocor)) and the drug riluzole (Rilutek) used to treat amyotrophic lateral sclerosis are both capable of enhancing WNT signaling, a major pathway controlling adult neurogenesis in the hippocampal dentate gyrus. Similarly, with the goal of rapidly advancing the translation of novel therapeutics for frontotemporal dementia (FTD), using our human iPSC models that we recently developed (Silva et al. Stem Cell Reports, 2016) we have screened for and identified multiple F.D.A. 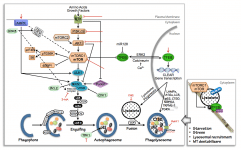 approved drugs capable of causing tau clearance in human neurons through autophagy-dependent and independent mechanisms. In collaboration with our clinical colleagues at MGH we are planning to perform pilot clinical trials to advance testing of these therapeutic concepts in patients. 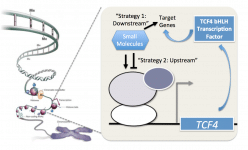 Novel neuroepigenetic probe development. The mammalian brain dynamically activates or silences gene programs in response to environmental input and developmental cues. This neuroplasticity is controlled by signaling pathways that modify the activity, localization, and/or expression of transcriptional-regulatory enzymes in combination with alterations in chromatin structure in the nucleus. Consistent with this key neurobiological role, disruptions in the fine-tuning of epigenetic and transcriptional regulation have emerged as a recurrent theme in studies of the genetics of neurodevelopmental and neuropsychiatric disorders. Furthermore, environmental factors have been implicated in the increased risk of heterogeneous, multifactorial, neuropsychiatric disorders via epigenetic mechanisms. Aberrant epigenetic regulation of gene expression thus provides an attractive unifying model for understanding the complex risk architecture of mental illness. The emerging field of neuroepigenetic research is poised to provide insight into the biochemical basis of genetic risk for diverse neuropsychiatric disorders and to develop the highly selective chemical tools and imaging agents necessary to dissect dynamic transcriptional-regulatory mechanisms in the nervous system. 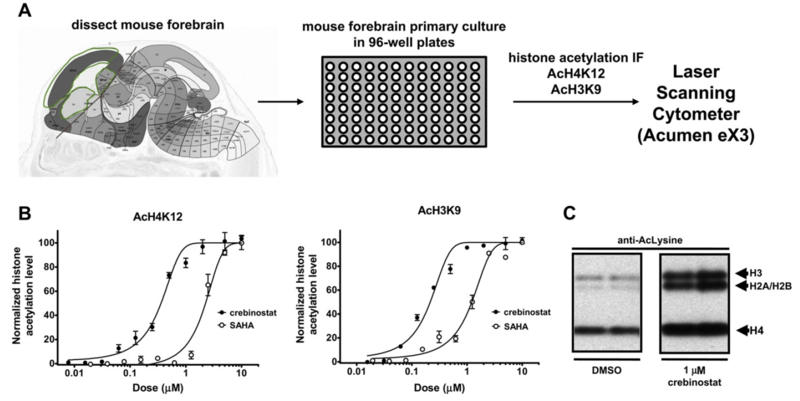 On the basis of these findings, continued advances may lead to the validation of novel, disease-modifying therapeutic targets for a range of disorders with aberrant chromatin-mediated neuroplasticity. 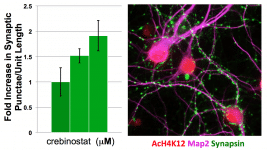 Potential of targeting proteostasis pathways human iPSC models of dementia. Frontotemporal dementia (FTD) is characterized by focal brain neurodegeneration and pathological accumulation of proteins are commonly associated with tau mutations. However, the mechanism of neuronal loss is not fully understood. To identify molecular events associated with tauopathy, we are studying induced pluripotent stem cell (iPSC)-derived neurons from individuals carrying mutations in the MAPT gene encoding tau. Through a panel of biochemical and cellular assays, we have observed that tauopathy-patient neurons show accumulation, redistribution, and decreased solubility of tau. Upregulation of tau is coupled to enhanced stress-inducible markers and cell vulnerability to proteotoxic, excitotoxic, and mitochondrial stressors, which we have shown can be rescued upon CRISPR/Cas9-mediated targeting of tau or by pharmacological activation of tau clearance pathways. These findings unmask tau-mediated perturbations of specific pathways associated with neuronal vulnerability, revealing potential early disease biomarkers and suggest novel therapeutic targets for FTD and other tauopathies that we are pursuing. 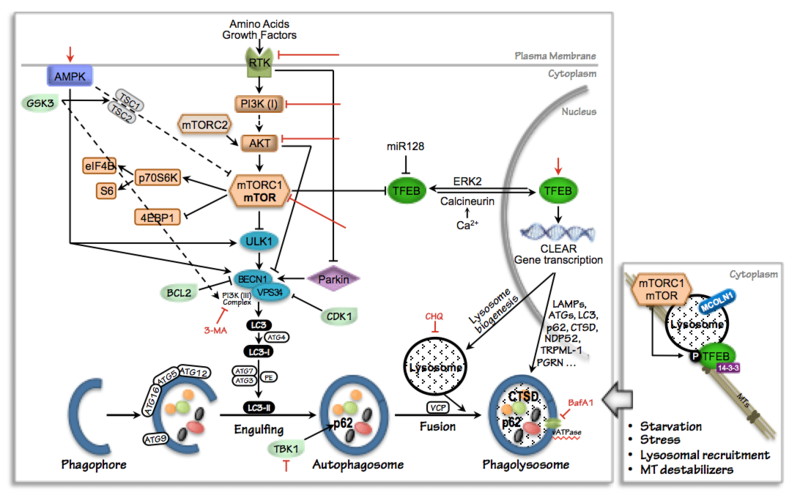 Targeting epigenetic regulation in rare neurogenetic disorders. Multiple human diseases are due to mutations that cause the loss of function one functional copy of a gene leading to haploinsufficiency. For example, mutations in the GRN gene on Chr17 encoding the multifunctional glycoprotein progranulin are a common autosomal dominant cause of frontotemporal dementia. Similarly, loss of function mutations in the TCF4 gene on Chr18 encoding the basic helix-loop-helix (bHLH) transcription factor 4 cause Pitt-Hopkins syndrome. In such cases, since therapeutic strategies that restore levels of expression of progranulin or TCF4 to the normal range may provide a disease-modifying or preventive effect. We are exploring this effect using high-throughput screening and focused chemogenomic libraries targeting neuroepigenetic mechanisms using human iPSC models. Examples of Assays Developed to Discovery Novel Therapeutics for Pitt-Hopkins Syndrome by Targeting the Epigenetic Regulation of TCF4 Gene Expression.